The Vancouver-based Vitae team started out with one of the most important aspects of a successful business – they had an amazing product. 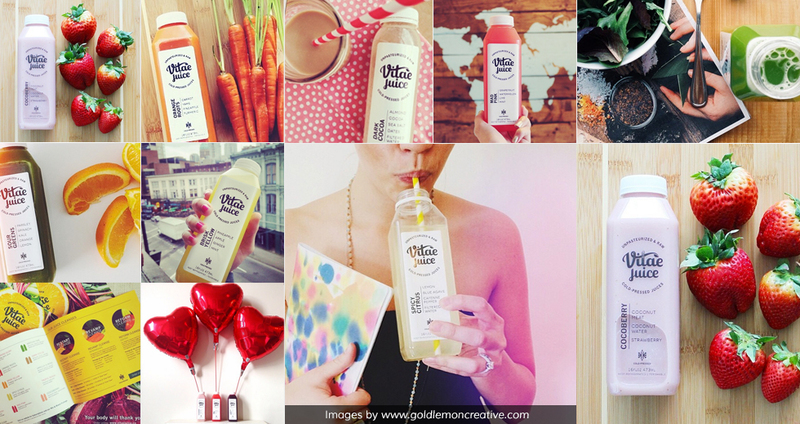 They provide raw, unpasteurized cold-pressed juice for body cleansing and everyday healthy living. 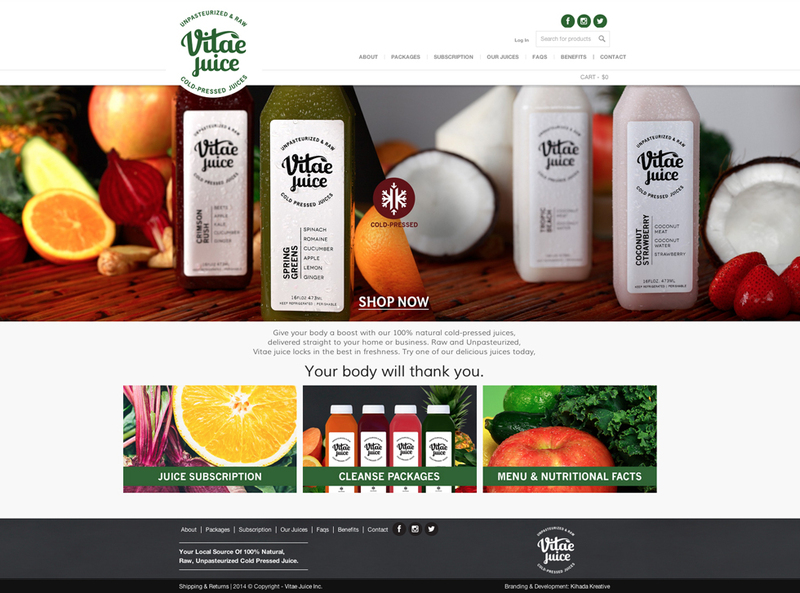 Boasting 15 spectacularly fresh and delicious flavours that are delivered straight to your home or business, Vitae Juice offers a convenient and rewarding way to take care of your body. 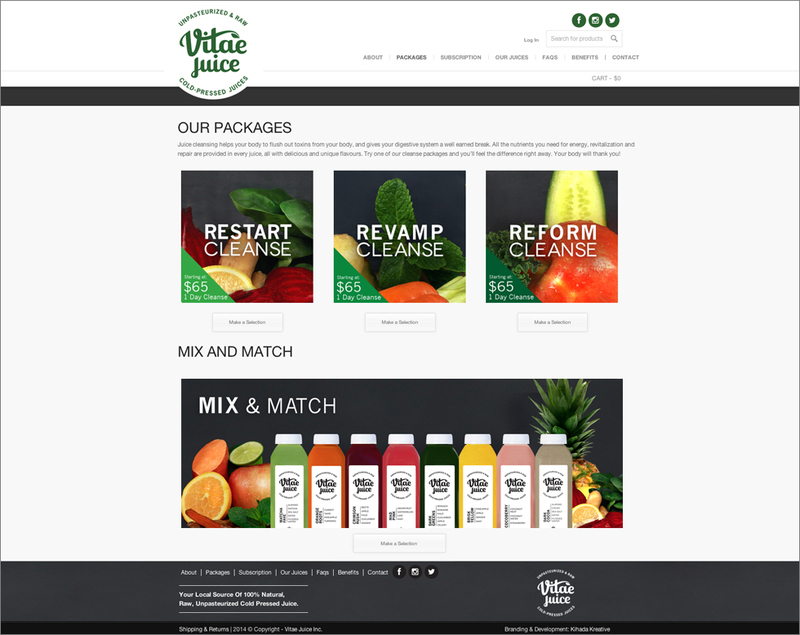 Our task was to come up with a new and exciting way to promote their product through strong branding and visual components that get your mouth watering for their wonderful juice. challenge Visually execute a brand that expresses the delicious taste of their product. solution A fresh and exciting re-brand featuring product photos and more free-flowing, friendly visual components. result A strong and inviting brand you can almost taste. We moved away from the straight edges and boxy feel of their initial logo, and went for a much more fluid, free flowing customized font that was completely unique to them. Smooth, friendly and inviting, the Vitae name includes a graceful curve on the V that leads across the letter T and develops into a beautiful leaf. Together with the roundness reflecting the shape of many favourite fruits gives it a natural look that stands out on the shelf. The most important elements of the product’s creation process – raw, unpasteurized and cold-pressed – are incorporated into the logo itself, so you know how good it is as soon as you see it. To emphasize the cold-press factor, we also came up with a customized icon for the cold-press process, which consumers can look for and be familiar with on their bottle. After directing their first product photo shoot with the new clean-look labels, we made use of their stunning new imagery and simplified the navigation of the website to improve the experience for the customer. Filling it to bursting with tasty images, bright, fresh colours and real photos of the product, we transformed their website into an exceptional marketing tool. "With no additives and no heat introduced in our cold-pressed & unpasteurized process, every one of our wholesome, natural ingredients are kept at their freshest from press to purchase."